Special thanks to Kip for having such a good idea; to Kip and Herb for bringing me into it; to Juliea for all the help along the way; to everyone at A&M for keeping it such a good place to work/play; and a very special thanks to Ms. Merman. If it weren't for her great talent, dedication to "the work to be done," sense of humor, love of life, generosity and the ability to give of herself...well then, most of us wouldn't want to do another hundred records, T.V. shows, state fairs, etc... with her. "For decades Ethel Merman has been the heart and soul of the American Musical Theatre. Hearing this album, I'm convinced that this Disco Diva may be taking a whole new career! Not only are these songs among the world's favorites, but the sheer joy of Merman's voice makes me want to get up and dance. Bless you for boogeying, Ethel, you're hot as a pistol!" "P.S. When are you going to sing one of my tunes?!" Back in the late 80s I was a big fan of Whose Line Is It Anyway, the 'comedy' improvisation show. (I put 'comedy' in speech marks because, seeing it again recently on re-runs, I realised just how pedestrian it really was). Often the show would end with a game called 'Party Quirks' - one of the ensemble would play the part of a party host, and his guests all had idiosyncrasies which the host had to guess. The guests of course couldn't just walk in and say 'I'm a Mexican Astronaut' because that would just be too easy, and not make for very interesting television. Despite having been quite a big fan, the only thing I remember is one round of party quirks where someone had to demonstrate that they communicated with the dead. At one point he sang 'I hear voices and there's no-one there', to which the host (on that occasion Tony Slattery) replied, "Oh! He thinks he's Ethel Merman". Stealth edit: - As LJ user huskyteer pointed out, Tony Slattery was in fact quoting from Airplane!, which makes sense. And that, gentle reader, was the sum total of my knowledge of Ethel Merman until now. Or at least, I thought it was. 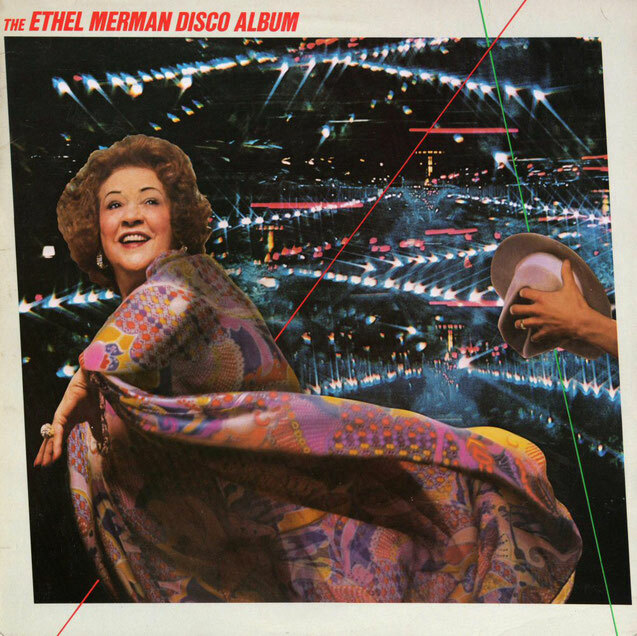 Having listened to this album, I realise that although I may never have seen or heard Ethel directly (see, we're on first name terms already), I have heard her parodied a thousand times. On all those American sit-coms when somebody 'amusingly' bursts into song, or takes on a big dramatic number, the voice that they're impersonating is Ethel's. You don't believe me? Just listen to the how she pronounces 'know' in 'like no-business I know', and you will have an instant pang of recognition. But if Ethel herself is a cliché, then what can I say about this album? 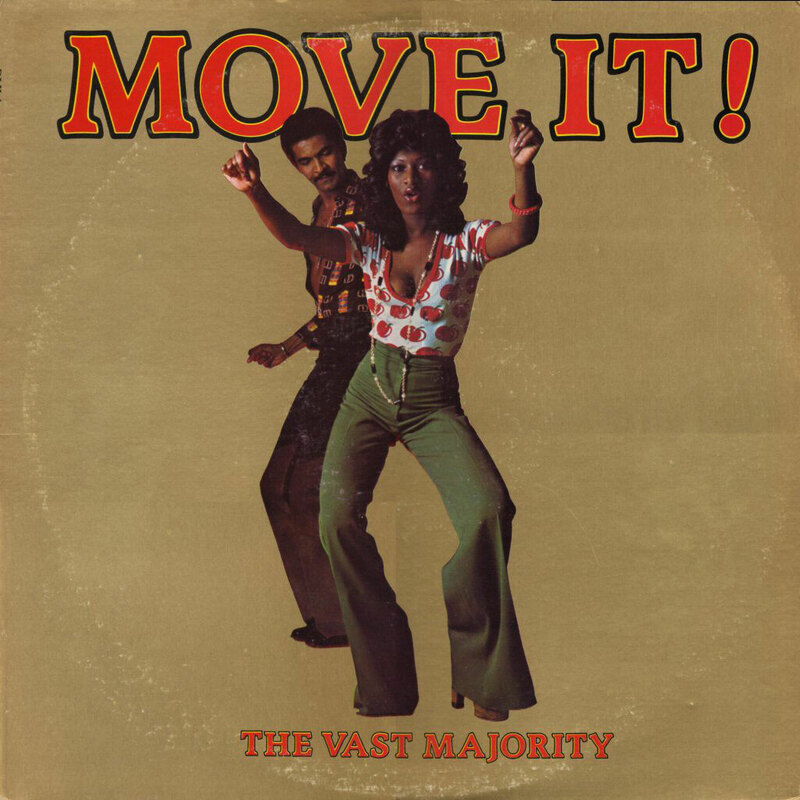 In 1979 when Disco still seemed newish and exciting, this may have been a truly revolutionary album. When worlds collide. The old and the new. But now it just seems like a bunch of old standards with an uninspired disco backing added on afterwards. It's kind of telling that Ethel came into the studio and did her normal renditions of the songs in a single take. There's no integration or fusion here, and the two layers seem to operate independently of each other. You have some lively old songs, and some non-descript Disco instrumentals, but the total is substantially less than the sum of its parts. Ethel's voice sounds... strong for a 71 year old, but I can't say it's exactly to my tastes. There's nothing fundamentally wrong with this album, other than it should never have been made. Ethel worked in Musical Theatre, not Studio 54, and it just seems to tarnish what was otherwise a pretty heady career. I say shame on the producers who clearly wanted to make a fast buck on the back of the Disco phenomena by trying to appeal to two separate markets to try and double their profits. The cads. As a final point, I should probably point out that this barely falls into the category of 'Forgotten Albums'. After all, this was rereleased as a CD, and apparently has quite a cult following. It even has its own Wikipedia Page. So, can I call it a Forgotten Album? Well, it was in a cardboard box, under a table, in a corner of a charity shop sited in a Livestock Market in Hereford. I'd therefore say pretty much, Yes. I also think, having forced myself to listen to the whole bloody thing that it really should have stayed forgotten.